Daily word puzzles are fun, regardless if you play them online or via a puzzle book. If you are not doing puzzles, then you’re missing out. Below are a few reasons to convince you to start doing word puzzles on a daily basis. Finding words and solving puzzles are fun. They are a good way to keep yourself entertained. If you’re the type who gets bored easily, then you’ll love doing daily puzzles that involves words. Not only are they fun to do, but they are good to solve while relaxing. You can work on them while you’re lying down in bed or while sitting around on the couch. You can complete them while watching television or while taking a bath. It doesn’t matter what you do to relax, doing puzzles can help you relax even more. Are you looking for a way to keep your brain sharp because if you are, then finding words or solving word problems is a great way to do it. Whether you do puzzles on your own or compete against others, you will keep your brain thinking. You’ll have to figure out which words need to be used and how to go about solving them. Different word games have different rules, but all of them will keep your brain on its toes. If you’re looking to make time go by faster when you’re doing certain things, then puzzles can come in handy. This includes doing them while you’re flying or on the bus or train. Whether it’s short distance or long distance travelling you’re doing, you’ll love having a puzzle on hand. It will make your trip go by much faster. They are also great for while you’re waiting around for something, such as the doctors in the waiting room or the dentist. The bottom line is they will make time go quicker. Finally, they can expand your vocabulary. You’ll probably find words you never even heard of. Many puzzle games allow you to look up the definition of the words. Even if they don’t, you can look up the definition afterwards. 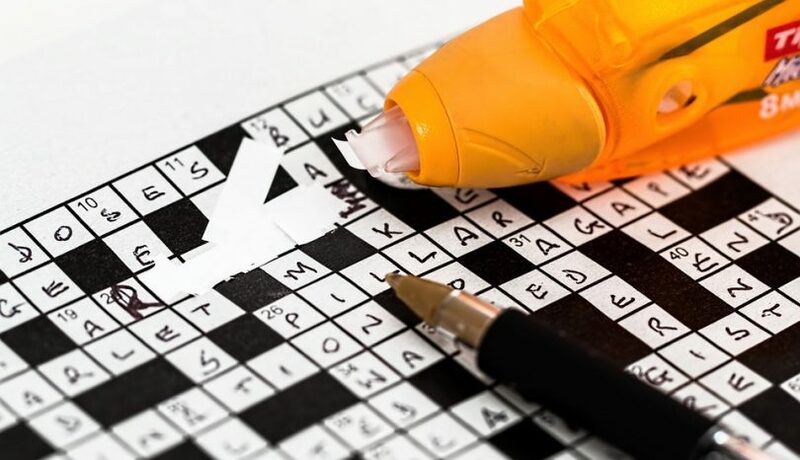 If you want to expand your vocabulary and learn new words, then start playing word puzzles on a regular basis. There’s no denying that daily word puzzles are fun and they can keep your brain sharp or to do while you’re relaxing. They make the time go by fast and they can help you expand your vocabulary. With that said, you should start doing word puzzles today.